Ipiales is located on the high plateau called "Tuquerres e Ipiales." 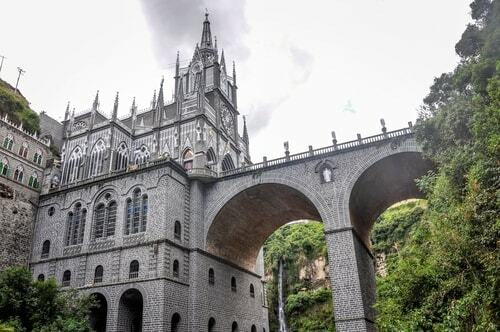 It is known for its proximity to Las Lajas Sanctuary, a Catholic pilgrimage site. One of the biggest festivals is called the "Black and White Carnival": during this event, people from Ipiales celebrate racial diversity, painting each other with make-up and a white soap called careoca. 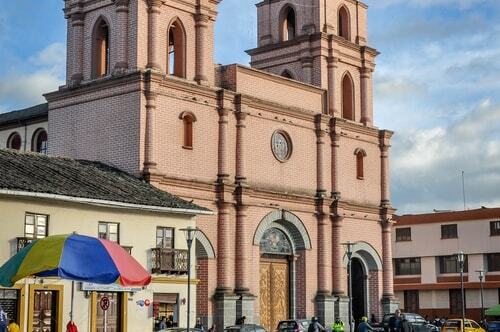 Ipiales city is a small Andean city in western Colombia, near the border with Ecuador. 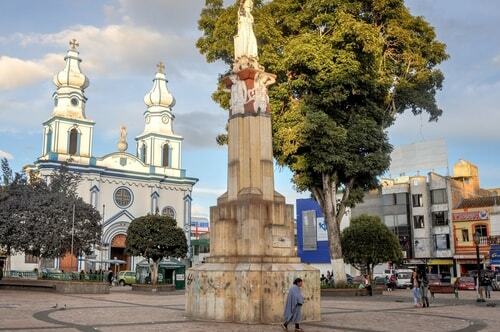 Also known as "la ciudad de las nubes verdes" (the city of the green clouds) because some times, especially in the afternoon, green clouds appear over the city. One of the area's favorite foods is the guinea pig or cavy, called kuy or kuwi.